A leading expert on Australian foreign and defence policies Wayne Reynolds has spent much of his career engaged in a delicate balancing act between the interests of historiography and the political, diplomatic and military imperatives of national security. He is one of Australia's few historians to have one foot in the world of the academy, with its commitment to putting knowledge into the public domain, and the other in the world of defence departments and think-thanks, where documents lie behind closed doors and any new publication is carefully vetted by in-house editorial boards for consistency with official 'lines' and agendas. Notwithstanding these constraints, delving into government archives to unearth confidential information about the behind-the-scenes discussions and machinations of Australian national security policy is a major strength of Wayne's research, and he uses it to challenge our understanding of the historical imperatives that have moulded contemporary defence strategies. 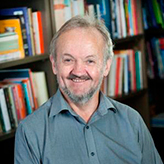 Wayne has managed to publish on sensitive topics such as Australian strategy and alliances during the Cold War, terrorism and asymmetrical warfare, the history of Labor's foreign policy, Australia's geopolitical role in South-East Asia, especially its relations with Indonesia, and recently Australia's case for nuclear submarines. But he is best known for his often controversial work about what went on behind the scenes during the Cold War years as successive Australian governments grappled with the thorny question of whether or not to develop nuclear capabilities. Although Australia ratified the International Treaty on the Non-Proliferation of Nuclear Weapons (NPT) in 1973, and is often cited as a model of nuclear restraint, the story is not an open and shut case. In his book Australia's Bid for the Atomic Bomb, published in 2000, Wayne argued that from the end of World War II to the signing of the NPT, Australia vigorously pursued a program to acquire nuclear weapons and develop uranium enrichment facilities. "The book challenged the conventional view that Australia had little interest in nuclear development either for military or non-military purposes. I tried to show that we very seriously looked at nuclear weapons and nuclear propulsion for military purposes." The furore generated by the book led Reynolds to want to dig deeper still, to bring to light the full story of Australia's evolving attitudes and policies on nuclear deterrence, non-proliferation, uranium enrichment, and nuclear power. He had no idea it would consume the next nine years. Since the task involved gaining access to classified documents, Wayne had first to obtain the consent of then Foreign Minister Alexander Downer. The proposal was approved in 2004, and the project proceeded with the assistance of the Director of the Historical Documents Project, Dr David Lee, who co-edited the final volume. The process of locating classified documents and having them declassified was an arduous and at times frustrating business. Some file lists (the master indexes to documents) couldn't be found, including those relating to the activities of the mysterious Defence Atomic Developments Sub-Committee. Then, declassifying a document involved several layers of clearance by DFAT's International Security Division and editorial board, and, in the case of correspondence with a foreign power, also by that country's government. The fruits of Wayne's labours were finally realised in September 2013 when Australia and the Nuclear Non-Proliferation Treaty, 1945-1974 was launched at an official event in Canberra. It is published under DFAT's Documents on Australian Policy series. "Although it's an official publication, I didn't want it to be hagiography. I wanted to document Australia's nuclear journey warts and all." The book provides final documentary evidence that Australia's decision to sign the NPT was no fait accompli. Far from it. In many quarters there were serious reservations about committing to the NPT, and a strong belief that Australia should develop its own defensive nuclear capability and be a key player in the nuclear arms race. After years of disagreement, debate and vacillation, the position championed by the Department of External Affairs won out, and the Treaty was signed and ratified. But that's not the end of the story. As 'compensation' for agreeing to the Treaty, Australia subsequently fought for concessions including the purchase of F111 aircraft to deliver nuclear warheads, the storage of US nuclear weapons on Australian soil, and the ability to enrich uranium beyond yellowcake for export. Australia's secret tussles with the US about these concessions will form the subject of Wayne's next book. Suffice it to say, Australia's nuclear ambitions were ultimately thwarted by its major ally. Nevertheless, Australia still has the capabilities to manufacture nuclear weapons (one of 44 countries with such capabilities) and might in future revisit its position on acquiring them – a question Wayne has researched as part of an international study conducted by the University of Southampton (UK) and the James Martin Center for Non-proliferation Studies (US). With his historically informed expertise on nuclear as well as conventional weapons and on the regional and global power plays of many nations, Wayne is frequently called upon to contribute to contemporary debates on such pressing issues as the current sanctions imposed on Iran, the future of Australia's maritime defences, and Australia's role in Southeast Asia. As he says, "A historical perspective is vitally important. These debates go on. History doesn't stop." 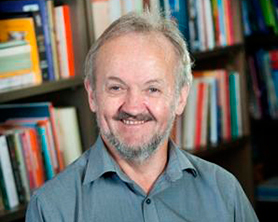 Associate Professor Wayne Reynolds was born in Sydney and earned his Ph.D at the University of Newcastle. 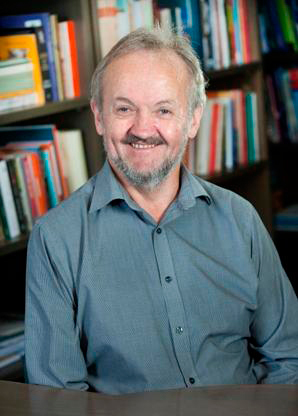 He won the Evatt Foundation International Essay Competition in 1988 and was later commissioned to co-author the Foundation's centennial biography of Evatt - Doc Evatt: Patriot, Internationalist, Fighter and Scholar. He has published numerous articles on Australian foreign and defence policies with an emphasis on developments since 1939. His most recent work is the monograph Australia's Bid for the Atomic Bomb published by Melbourne University Press, 2000. Main work has been on the History of Australian foreign and defence policy. Research projects have included the history of Labour Foreign policy, which resulted in the H.V. Evatt national prize and a co-authored book funded by the Evatt Foundation of Evatt. I have also written on Whitlam's foreign policy. I have worked extensively on Australia and nuclear weapons, publishing artictles and conference papers. This research resulted in a book and a documentary in 2001-2. Recent research has involved work on nuclear non-proliferation and relations with Indonesia. I have also published on Education with particular reference to Asian integration and the role of Higher Education in nuclear research and development. A feature of my research and research supervision is the use of government archives. I created a digital link to documents on the home page of the National Archives which now informs research on-line. My current project is a edited volume of government records on nuclear non-proliferation. I have taught widely in History but the focus in recent years has been on Australia and especially foreign relations. I offer a Twentieth Century survey course at 1000 level and courses on Australia and Asia; Australian and the Great Powers; and Australian War and Society at 3000 level. I run an issues in foreign relations course at Honours level and a 6000 distance course in this area. I have supervised to completion 3 PhDs and 1 MA in this field. In the past I coordinated a number of courses for teachers (History Method, Politics, Society and Culture) and for police (Policing practice, strategic studies). I have served in most administrative areas relevant to the Discipline (Honours coordination, Postgraduate coordination) and have acted as Deputy Head of School in Liberal Arts and now the expanded School of Humanities and Social Sciences (Ourimbah campus). I have served on Faculty Board, the Faculty Executive, Faculty CT&L, Academic Senate, University Council (and its Resources and Administration Committee, the Finance and Capital Committee Committee, Planning and Performance Committee, and various ad hoc committees). Organisation: Cultural Heritage Centre for Asia and the Pacific Description: Authored heritage report. Organisation: Iowa City Foreign Relations Council Description: Promotion of Australian International Affairs courses. 2007 Australian Regional Policy and the Risk of Asymmetic War. Organisation: Australian Homeland Security Centre Description: Invited to speak at the Inugural conference on terrorism sponsored by Centre for Homeland Security and subsequently to submit a paper for publication. Organisation: National Archives of Australia Description: Invited to review the finished report conducted by the Archives. Organisation: Mountbatten Centre for International Studies Description: The project aims to produce a major publication on the Anglo-Australian nuclear tests. 2005 Issues in Contemporary Australian History. Organisation: Kumamato University, Kyushu, Japan Description: An all-expenses paid invitation to lecture on Australian History, with particular reference to foreign relations, defence and Japanese relations. Organisation: Film Australia Description: Film based on my 2000 book 'Australia's Bid for the Atomic Bomb'. UON showcases developments of our leading defence researchers and is being applied to solve real life challenges. University of Newcastle scholar's book documents Australia's historical attitudes to Nuclear weapons.